MV-KFF Single core medium voltage 8.7/15 kV | Belcom Cables Ltd. 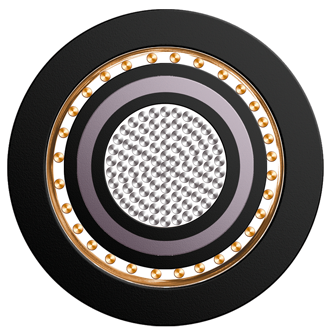 Single core cable featured by flexible class 5 conductor acc. to IEC 60228. The insulation is made of high module HEPR polymer, extruded together with the inner and outer semi-conducting layers: the triple co-extrusion and cross-linking system gives the cable very high safety on duty and reduces the partial discharge effect. These cables are suitable for energy supply at nominal voltages of 8.7 / 15 kV and for connections between medium voltage substations and low voltage transformers.